Originally conceived as an informal follow-up to What Ever Happened to Baby Jane?, Robert Aldich’s Hush…Hush, Sweet Charlotte was yet another hit for the legendary director, receiving seven Academy Award nominations. 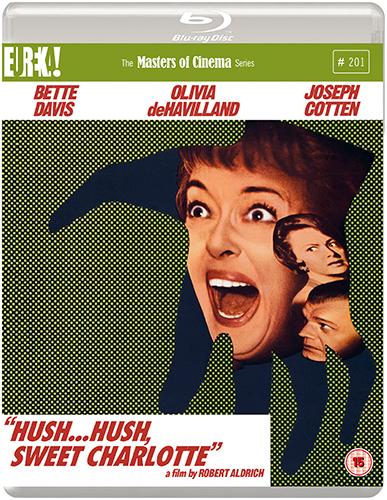 A dark and twisted psychological thriller from one of Hollywood’s most idiosyncratic filmmakers, The Masters of Cinema Series is proud to present Robert Aldrich’s Hush…Hush, Sweet Charlotte available for the first time on Blu-ray in the UK . PLUS: A collector’s booklet featuring a new essay by Lee Gambin, archival imagery and more!